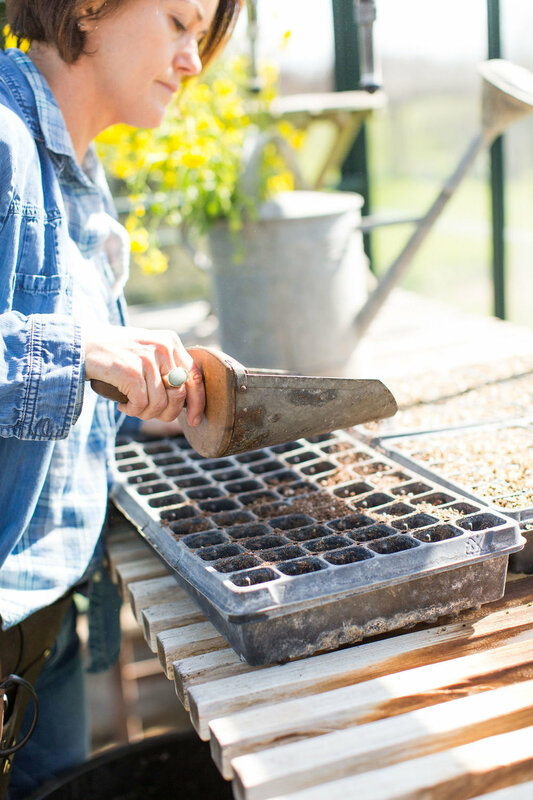 When it comes to spending time on the farm, there are plenty of activities that we really enjoy, but gardening is definitely our top favorite. From getting our hands dirty, to growing our own food, to watching our hard work come to life, it is always gratifying to plant a tiny seed that eventually grows into something nourishing and energizing to our bodies. Every year we tend to have an abundance of fruits and vegetables at the farm, which makes for a perfect chance to get creative. Just a few years ago, when we had a bumper crop (very productive harvest) of cherry tomatoes, we decided to make tomato jam and give it a spicy twist. Our friend and chef Doug McFarland came up will a stellar recipe and thus our Moroccan Tomato Jam was born and our ability to put the fruits of our labor in a jar began! It pairs wonderfully with pork, chicken and is a welcome addition to any cheese platter. A few years later, our plum trees produced a bumper crop and we decided to pair it with the essence of the Elderflower to give it a French twist. This little experiment led to our Plum Elderflower Jam, produced for the first time this year, and it has definitely become a crowd pleaser! Ellen Roggemann of the Radical Radish was instrumental in helping us make it all happen and her Elderflower connection gave the jam the “Je ne sais quoi” that everyone loves. It is simply delicious on a toasted baguette or croissant and is also a welcome addition to any cheese platter. The plum trees are currently flowering, we’re busy in the garden planting the seeds for our tomatoes, and we look forward to continuing our quest to bring a little piece of our Sonoma garden straight to your kitchen for you to enjoy.